The other morning my five year old asked me when I would be 40 years old. The question stunned me, because forty sounds for lack of a better term “older than I am ready to be”. Reality is that I am thirty-five and not far from forty years old. I get my yearly health checkups, just like my kids do and I pay a whole lot more attention to my body than I ever have. 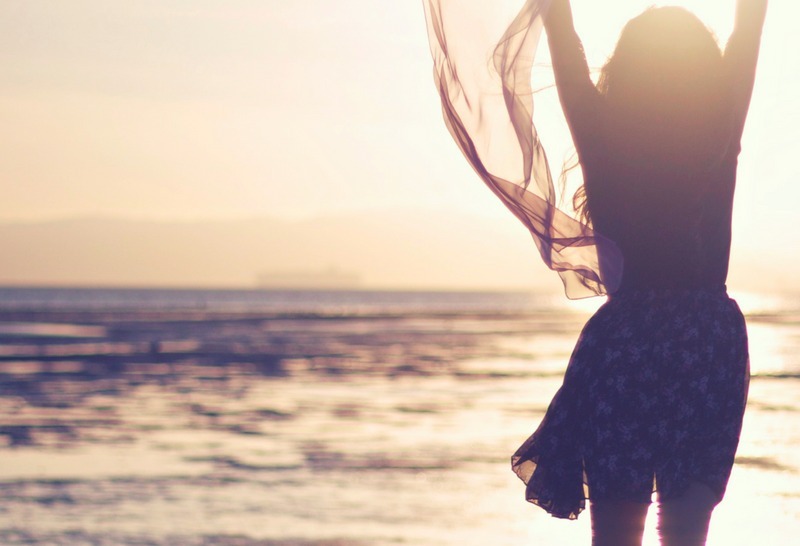 I started researching common health problems in women, mainly what to watch out for and how to give myself the best chance at a long and healthy life. 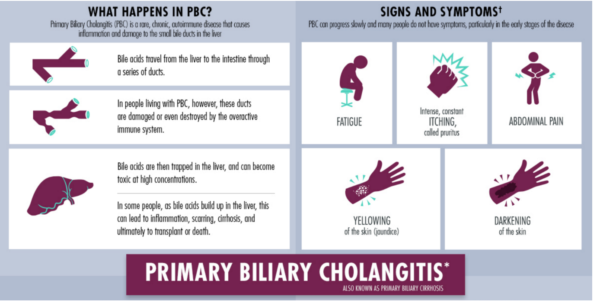 Primary biliary cholangitis (PBC), formerly known as primary biliary cirrhosis, is a rare and progressive liver disease common in women. 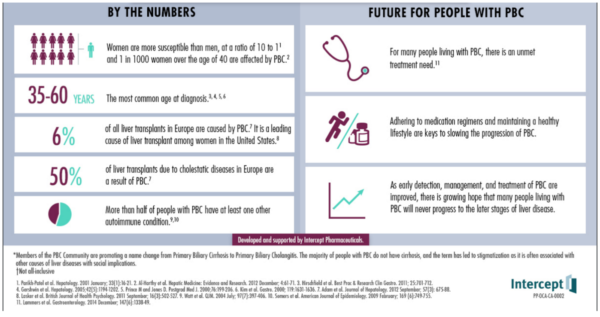 Nearly 90% of people with PBC are women. PBS primarily results from autoimmune destruction of the bile ducts that transport bile acids out of the liver, resulting in cholestasis. Instead of bile acid traveling from the liver through ducts to the intestine, bile acids become trapped in the liver and may become highly toxic. 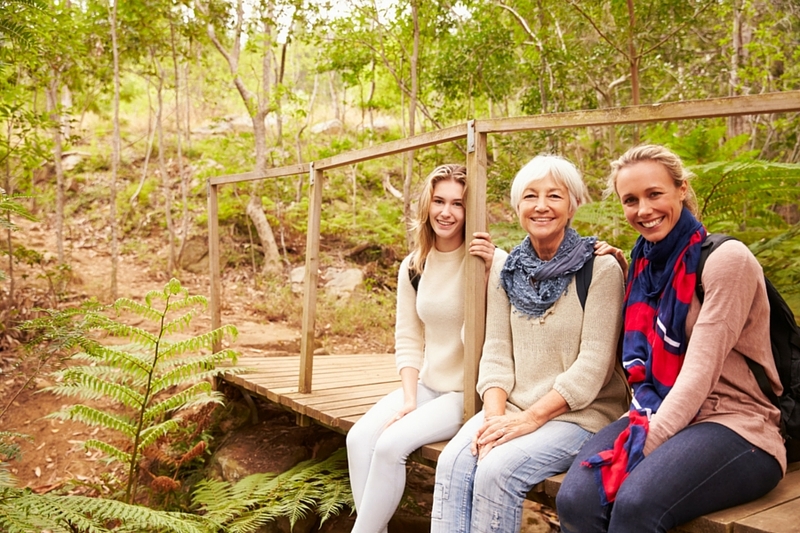 The impact of PBS is the second-leading overall cause of liver transplant in women in the United States, behind hepatitis C. The disease can appear in people younger than 25 years old, but mostly diagnosed between ages 40 and 60. So now that we women know that this disease affects approximately one in 1,000 women over the age of 40. What signs should we be looking for? PBC can progress slowly and symptoms may not be typical. Signs to keep in mind are fatigue, intense and constant itching, abdominal pain, jaundice of the skin, or darkening of the skin. Having a liver function test done by having an ALP (High Alkaline Phosphatase) can measure the liver function. ALP is a key measure of disease progression in your liver. This biomarker that can be tested in the blood, it is a key prognostic indicator and doctors’ #1 metric for monitoring PBC.